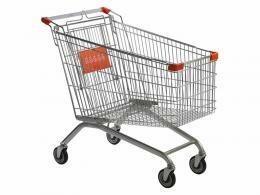 What is the purpose of the supermarket trolley? This supermarket trolley from The Workplace Depot is ideal for any sized shop, even those where aisle width and storage is somewhat tight. The stable design and swivel castors offer easy manoeuvrability, even when the trolley is packed to capacity and has to get through crowds of shoppers. The product comes standard with a folding seat. Where can a supermarket trolley be used? Supermarkets of all shapes and sizes can store this supermarket trolley for their shopper’s ease and convenience. Who might use a supermarket trolley? Shoppers will find this supermarket trolley smooth, silent and easy to push around, no matter the size of the retail store. 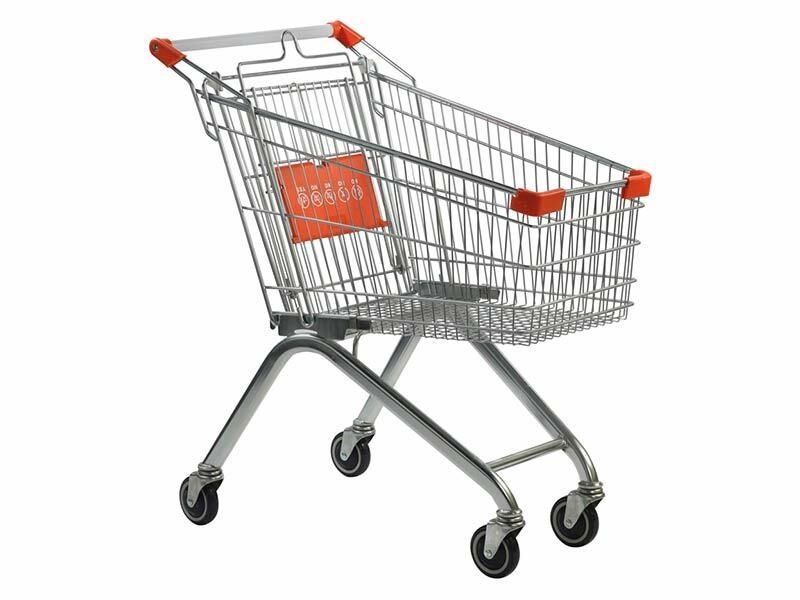 Order supermarket trolleys from The Workplace Depot today and get free delivery within 3 working days and a one-year warranty on parts and labour. 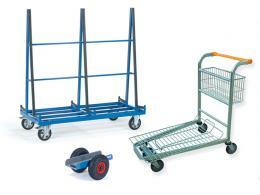 This supermarket trolley boasts a robust design and bright zinc plated and lacquered finish. The trolley can be easily and neatly nested and comes standard with a baby seat as well as corner bumpers. There are four swivel, non-marking castors that measure 125mm. The Workplace Depot offers easy exchange/returns policies so, if for any reason, you are unhappy with your purchase, simply return or exchange it within 14 days of receipt. We also proudly offer a Price Promise to match any price. For our customer’s convenience, The Workplace Depot accepts several forms of payment, including MasterCard, Maestro, Visa and PayPal. Simple select your required quantity and head to check out. If you have any special requests, be sure to fill in the comments section at check out, or please contact our customer services department who will be happy to assist. We deliver free of charge to UK Mainland areas. 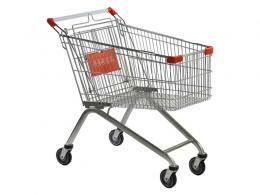 Please take a look at our range of shopping trollies today!